If you’ve been browsing career opportunities in the HVAC field, then you’re probably coming across these two job titles pretty frequently: HVAC technician and HVAC engineer. Both follow similar lines of work, specializing in working on ventilation systems that can keep people warm in winter and cool in sweltering summer heat. But even with those similarities, they are two distinct career paths that come with unique responsibilities and require unique qualifications. 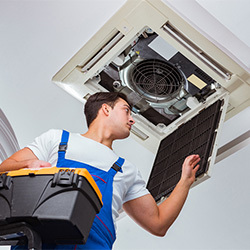 HVAC technicians and HVAC engineers both work with complex equipment, but technician is a more hands-on job. After finishing their HVAC training, technicians handle the installation, maintenance and repair of residential and commercial HVAC equipment. Connect systems to fuel and water supply lines, air ducts and other components. Inspect and test units to ensure they’re working properly. Repair or replace broken or worn parts. Advise people about the right size and type of HVAC unit for a home, office building or manufacturing plant. For more info on what an HVAC tech does, check out our post about a Day in The Life of an HVAC Technician. HVAC engineers design and oversee the installation of HVAC systems for residential and commercial buildings. They spend most of their time working in an office but are sometimes called upon to visit job sites. Coordinate project budgets and help with bidding. Meet with clients to discuss the creation and installation of new HVAC systems. Retrofit energy efficient HVAC equipment to existing systems. Both HVAC technicians and HVAC engineers can focus on green careers. 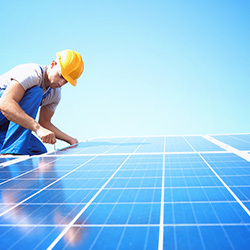 Energy efficiency and green construction are two sectors both professionals work in. HVAC engineers can also play a role in renewable energy generation, research, design and consulting services, and green transportation. Green HVAC technologies not only help people save money on utility bills, but also contribute to a cleaner environment. It usually takes more time and education to become an HVAC engineer than it does to become an HVAC technician. You’ll need a high school diploma to receive HVAC training at a trade school. An HVAC training program can last anywhere from six months to two years and prepares students for entry-level positions in the field. An apprenticeship is another path to an HVAC career, but it could take just as long as the bachelor’s degree needed to become an HVAC engineer: up to 5 years. To become an HVAC engineer, you’ll need a bachelor’s degree in mechanical engineering. A master’s degree is usually needed to take on management roles and a Ph.D. for jobs in research and development or higher education. If you want to start working in the HVAC field right away, you could train to become a tech and then go back to school to complete the requirements to work as an engineer. Some vocational schools have degree transfer options that transfer some or all of a student’s credits to a four-year college or university. Just be sure to check with the university, because the admission guidelines and requirements vary with the institution. As with other professions, HVAC technicians and engineers may be required or choose to obtain licenses and certifications. HVAC technicians in many states need a license. Two types of certifications for techs exist: required and optional. Techs who work with refrigerants need EPA Section 608 Technician Certification. There are four different types of certification, depending on the equipment being serviced. Type 1: Covers the service of small appliances. Type 2: Pertains to the disposal or service of appliances that operate at high or very high pressures. Type 3: Concerns the service or disposal of low-pressure appliances. Universal: Applies to the service of all types of equipment. These credentials indicate competence in a specific skill or equipment area. They can also improve your career prospects when you’re searching for a job. 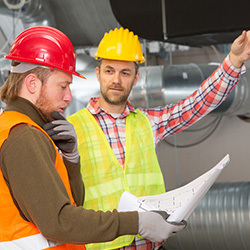 HVAC engineers who offer services directly to the public, oversee the work of others and approve projects must have a license to work in any state in the U.S. This license must be renewed on an annual basis in order to remain valid. Similar to HVAC technicians, HVAC engineers can earn industry certifications to validate skills and qualify for advanced positions. The American Society of Mechanical Engineers (ASME) and the American Society of Heating, Refrigerating and Air-Conditioning Engineers (ASHRAE) are two organizations that certify HVAC engineers. With more schooling comes higher salaries. The Bureau of Labor Statistics (BLS) reports that HVAC engineers made a median salary of $85,880 a year in 2017. HVAC technicians earned a median annual salary of $47,080. HVAC techs, however, likely enjoy greater job security because of a higher job growth rate. Employment for them is set to expand by 15 percent through 2026, compared to 9 percent for HVAC engineers. Whether you decide to become a technician or an engineer, there are many benefits of working in the HVAC industry. Not only do you get to help people, but you also enjoy the satisfaction that comes with overcoming challenges to see projects through to completion. If you want to enter the industry quickly and would prefer more hands-on work, HVAC training to become a technician is a better option for you. On the other hand, if you’d rather design the equipment, you may want to stay in school longer to become an engineer. Even if you start out as a tech, you can go back to school to eventually become an engineer. Learn more about the perks of becoming an HVAC technician.